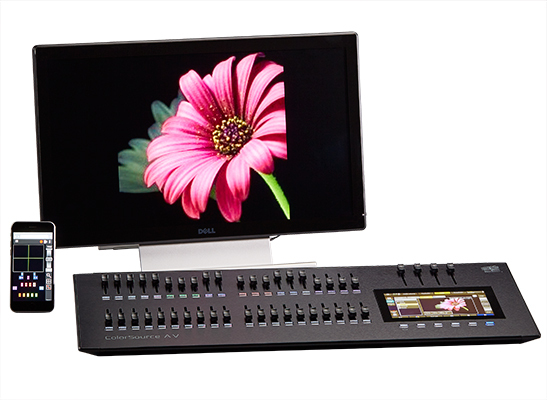 Available in two sizes with audiovisual output capability, ColorSource AV consoles give you hands-on control designed for the latest technology. These affordable, portable desks specialize in streamlined, plug-and-play setup; when you power up a console, it recognizes intelligent lights in the rig and auto-populates them in patch. Simply use the onboard touchscreen drag each fixture into place on a customizable stage map, and you’ll be programming in minutes. With the flick of a fader, you can run effects, mix LED colors, and play sound and video-based effects . Now you can handle your small rig – with style.